All of our shuffleboards in one place, including Brunswick, Hudson and Hurricane shuffleboards, as well as our beautiful and exclusive Signature Shuffleboards. At Home Leisure Direct we have an amazing selection of shuffleboard tables and shuffleboard accessories, with several on display in our Bristol showrooms, situated on a working organic dairy farm. Our award-winning team have a wealth of experience and really know their stuff when it comes to shuffleboard. This exciting game is rapidly growing in popularity and our team can advise you on every aspect of your purchase and the nuances of the game. We stock a great range of shuffleboard tables from some of the greatest manufacturers in the business: Hudson, Brunswick, Hurricane and our beautiful and exclusive Signature Shuffleboards. We also stock shuffleboard accessories to keep you playing at your very best, and to help you get the most out of your shuffleboard. Our Signature Shuffleboards have been created to the highest possible standards, giving you a choice of absolutely beautiful tables that are not available anywhere else. We have chosen tables that we think are simply unbeatable in quality and that have unique styles. The entire Signature range has been designed and hand-built by the world's best manufacturers, using the best materials and fine workmanship that comes from years of experience. Each table is constructed to exacting specifications, giving you an assurance of quality that means you'll enjoy your table for many years after purchase. Hudson Shuffleboards are renowned world-wide as the best shuffleboards on the market. Hudson employ the very best of materials, including the highest standard of maple, in all their range of products. Here at Home Leisure Direct, we are incredibly proud to be the only Official Hudson Shuffleboards Retailer in the UK. Hudson shuffleboards are the choice of top players and tournaments, due to their outstanding build quality and playability. Brunswick shuffleboards are manufactured in the USA by Brunswick, creators of some of the most beautiful games tables in the world. Their long experience of creating beautiful games tables shows in every product they make. Whether your room is contemporary, modern, classic or traditional, public or private, a Brunswick shuffleboard table will create the ambience you desire. We have a fantastic range of Brunswick shuffleboards for sale as well as all of the necessary accessories for the perfect game. Hurricane shuffleboards are some of the most striking, unusual and stylish shuffleboards on the market. 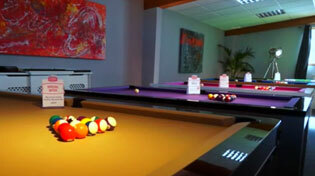 Hurricane use the best materials and the most modern designs in their range of products. Here at Home Leisure Direct, we are incredibly proud to be the only Official Hurricane Shuffleboards Retailer in the UK. Hurricane shuffleboards are aimed at serious shuffleboard players who are looking for a more contemporary aesthetic than that offered by more traditional shuffleboard tables. A Hurricane shuffleboard will be just as much a conversation piece as a playing table, and excels at both.